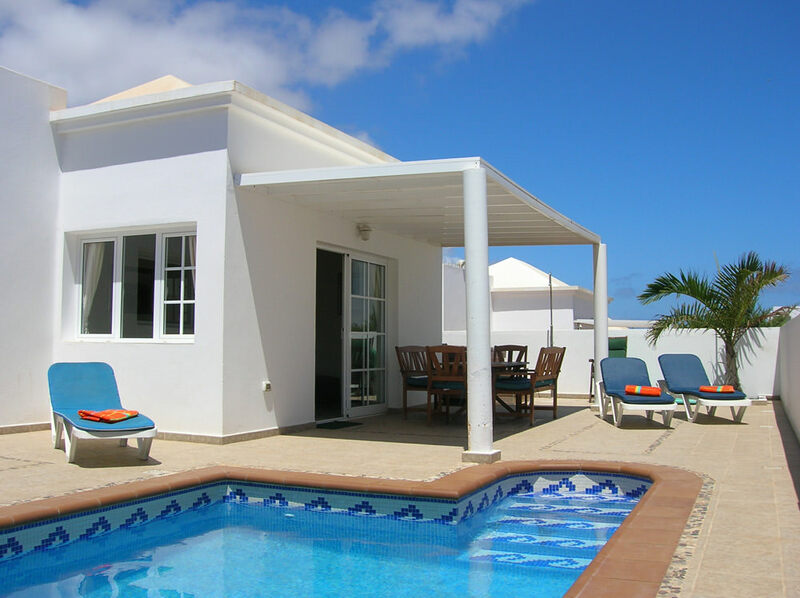 We are delighted to offer this fantastic selection of detached villa properties. 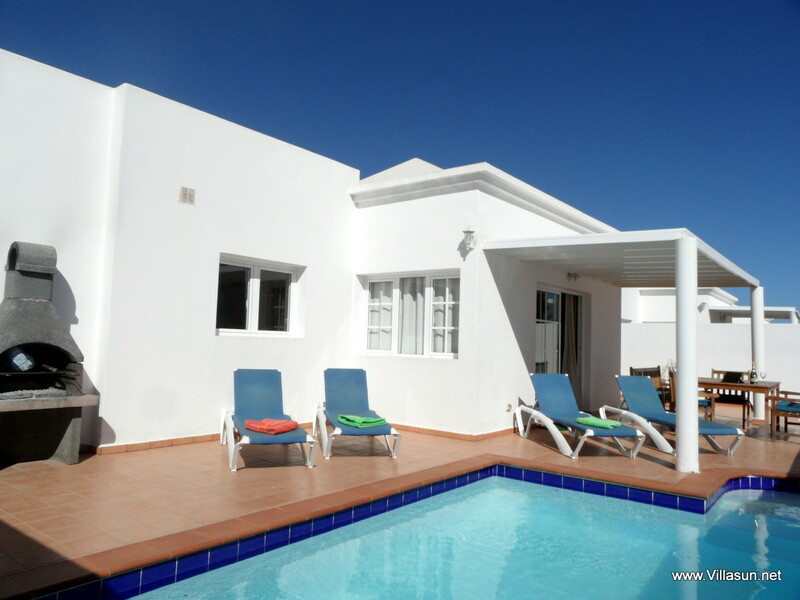 3 bedroom villas Lanzarote. 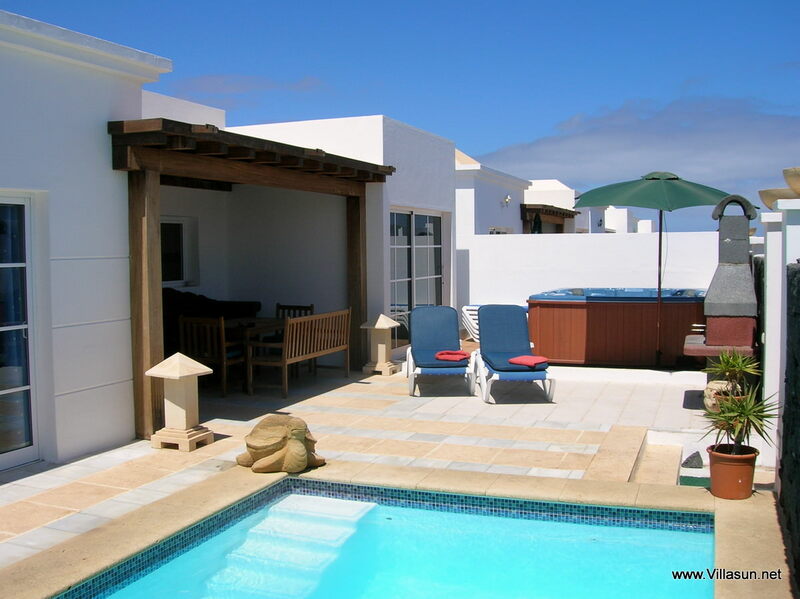 All of these stunning villas are located on a private road, with no through access keeping the area around them quiet despite being situated right in the heart of Costa Teguise. The villas are as close as 3 minutes from the central beach Las Cucharas, so even though it’s quiet you aren’t isolated from the rest of the resort. You are still close to shops and restaurants giving you the best of both worlds; privacy and convenience. Each 3 bedroom villa can cater for a wide range of needs, from a secluded couples break to a big family holiday for a party of 6 plus infants. Everyone will be able to sleep and relax comfortably, high chairs and cots are provided so even the smallest holidaymakers will be comfortable. All of the 3 bedroom villa properties have one king size double bedroom and 2 twin bedrooms so there is plenty of space for everyone without the villa feeling too big. Having enough space for everyone yet still feeling cosy makes these 3 bedroom villa properties the perfect option for a family getaway. Keeping everyone comfortable is important to us which is why each of the villas also have twin bathrooms, making sure nobody has to queue. 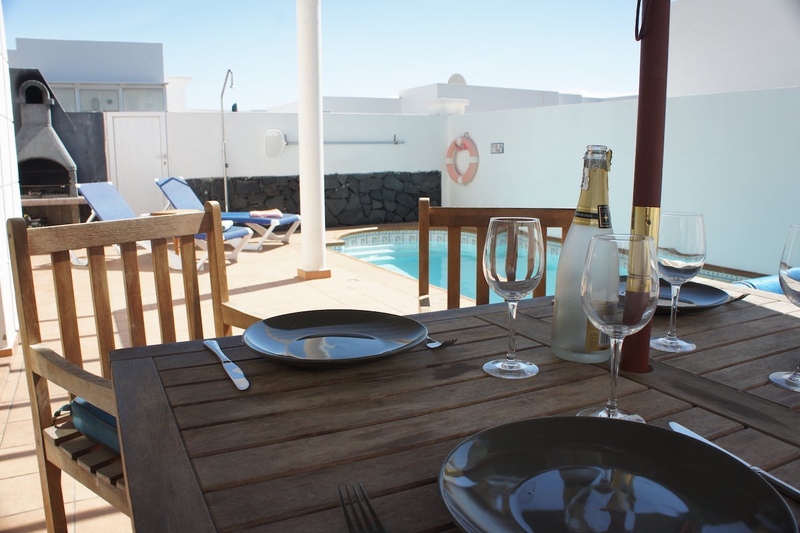 If you fancied a quiet night in instead of heading out to a restaurant you are perfectly catered for with a fully equipped kitchen, or take the cooking poolside with the BBQ. 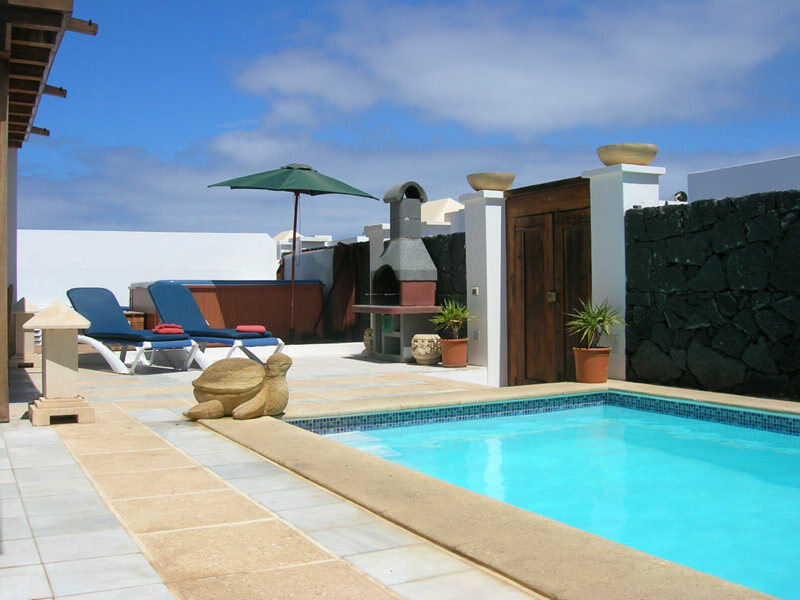 Each 3 bedroom villa has a beautiful private heated pool which is warmed all year round thanks to the inclusion of solar and mains powered back up heating. 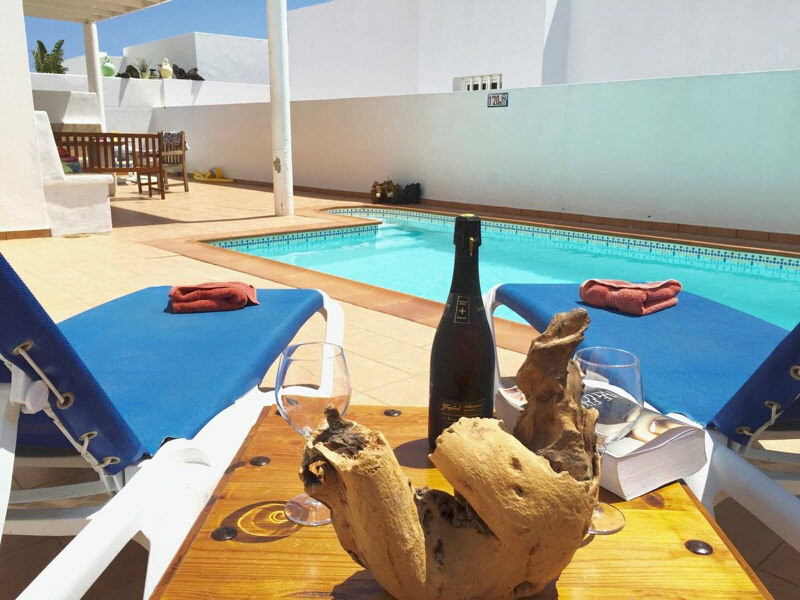 We’ll even give you patio furniture and sun loungers so you can chill out at poolside and soak up the sun. For a small additional cost we can give you even more luxury by providing you with a pool side hot tub. A fantastic way to unwind after a long day of sitting on the beach doing nothing. We think a holiday should be as stress-free as possible. We provide free villa towels, beach towels and hairdryers to help lighten your luggage and make your journey here a bit easier. The last thing you want is to start your holiday by hauling an overstuffed bag around the airport. 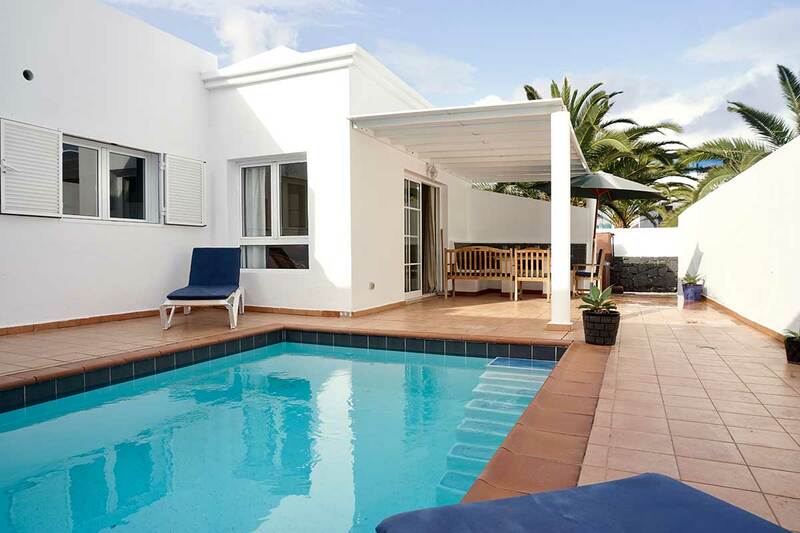 After your arrival in Lanzarote and you have made your way to your villa you will be greeted with a free welcome pack from us consisting of cold beer, wine and snacks helping you to kick your holiday off in style. 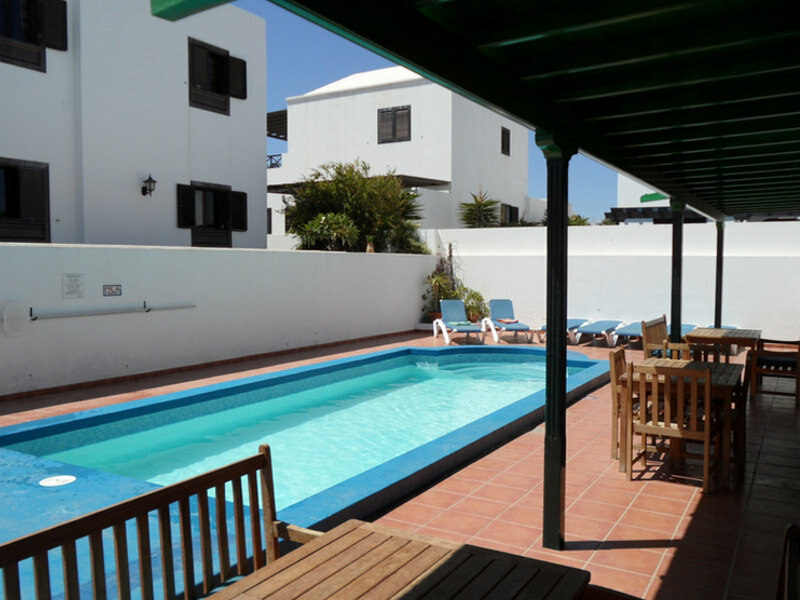 A delightful selection of 3 bedroom detached, bungalow, identical properties, located in Central Costa Teguise on a private no through road. 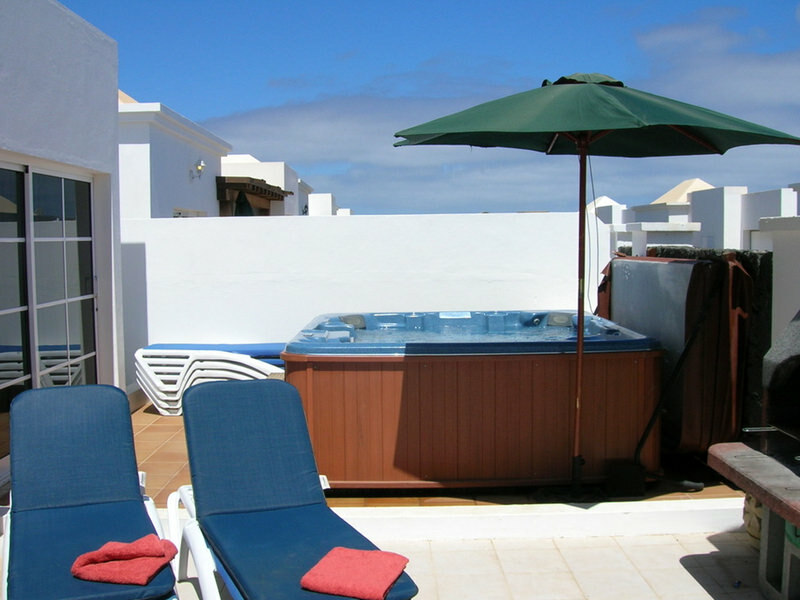 There are optional Jacuzzis available with our standard fully heated pools on many villas. With pricing for a secluded couples break to the mid size family sleeping 6/7 with babysitters (grand parents) in tow. 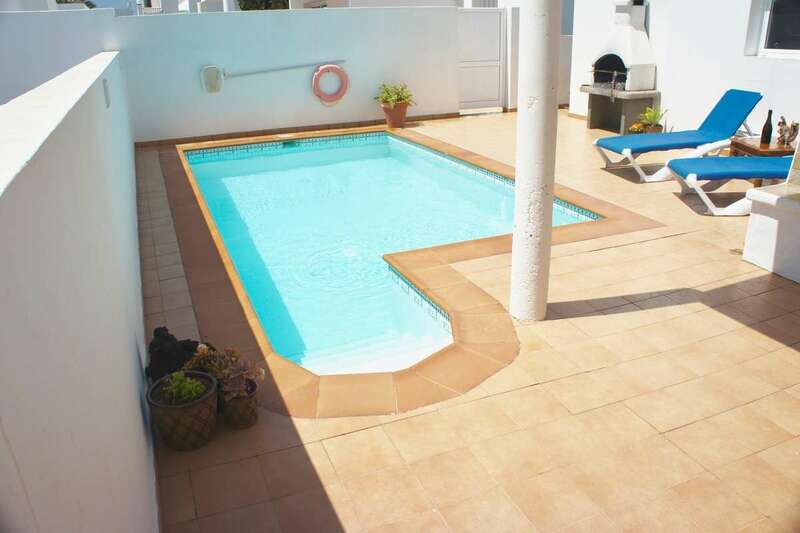 All located within an easy 3 minutes walk of the main beach in central Costa Teguise.